The Holiday season brings some of the best movie releases of the year as Hollywood gears up for awards season. 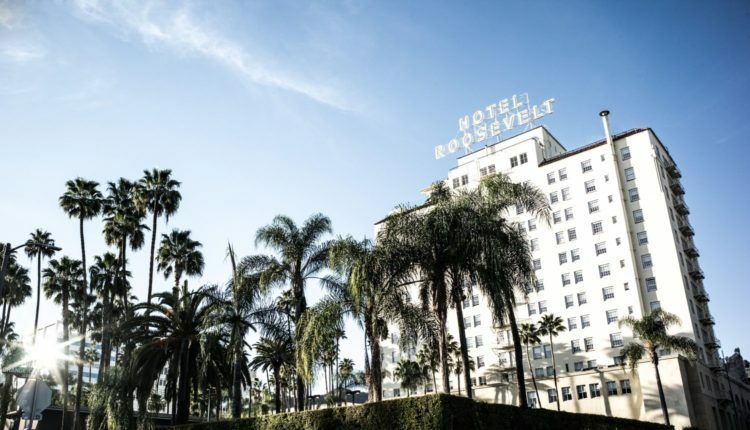 For those looking to have a taste of the silver screen in their next escape, a handful of Los Angeles hotels perfectly evoke the spirit of the new film “La La Land.” Nominated for the 22nd annual Critics’ Choice Awards, the musical film stars Ryan Gosling as Sebastian, a dedicated jazz musician, and Emma Stone as Mia, an aspiring actress, struggling to make ends meet while pursuing their dreams in the City of Angels as romance comes along. City of stars, are you shining just for me? #LALALAND – Starring #RyanGosling and #EmmaStone. In select cities December 9, additional cities December 16. The Hollywood Roosevelt Hotel built a legendary reputation on history and fame when it opened in 1929 and hosted the very first Academy Awards. Celebrating its 90th anniversary in 2017, it has welcomed illustrious icons through its doors, from Clark Gable, Shirley Temple, Charlie Chaplin and Marilyn Monroe who all resided there, to Prince and Angelina Jolie. Today, the hotel is still buzzing with industry executives and talent, and stands as a landmark attraction and popular destination for locals and tourists from around the world. Offering 298 newly refreshed guest rooms and suites, guests can choose from a accommodations ranging from poolside cabanas to Tower Rooms with stunning views of the city and Hollywood Hills. The hotel’s heated outdoor swimming pool provides guests the only locale in the world where they can swim in a million dollar work of art painted by acclaimed artist David Hockney. The Beverly Hilton has a glamorous, star-studded history, combining the excitement and entertainment of Hollywood with the prestige of Beverly Hills. Since its opening in 1955, the hotel has welcomed renowned Hollywood celebrities including Frank Sinatra, Judy Garland, Cary Grant and Burt Lancaster; United States Presidents from John F. Kennedy to Ronald Reagan; and royalty including the Duke and Duchess of Cambridge and Princess Grace Kelly. Today, the hotel continues that glamorous tradition, playing host to over 200 red carpet events a year including the annual Golden Globe Awards and Oscar Nominee Luncheon. The hotel’s famed Aqua Star Pool is the setting for numerous recognizable photo and film shoots, and the hotel remains the place in Beverly Hills to see and be seen. 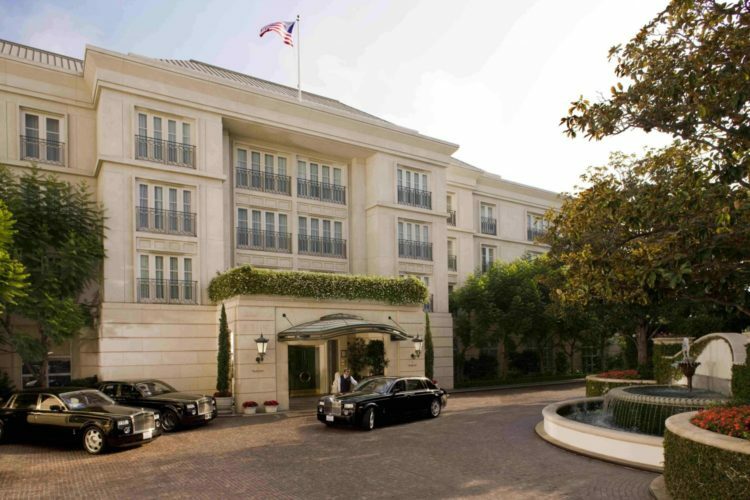 Known for its under-the-radar location nestled among lush tropical gardens in the heart of Beverly Hills and within easy walking distance of Beverly Hills’ legendary Rodeo Drive, The Peninsula Beverly Hills offers 195 guest rooms, including 38 suites and 17 private villas that attract the stars. The hotel even offers guests a “Hollywood Piano Legend: A Private Lesson, Lunch and Cocktails” experience that includes a private 90-minute piano lesson with Antonio Castillo de la Gala, followed by lunch with him in the hotel’s elegant Belvedere restaurant. Throughout the experience, Antonio Castillo de la Gala shares his knowledge of music history and personal reminiscences of performing for Hollywood legends. 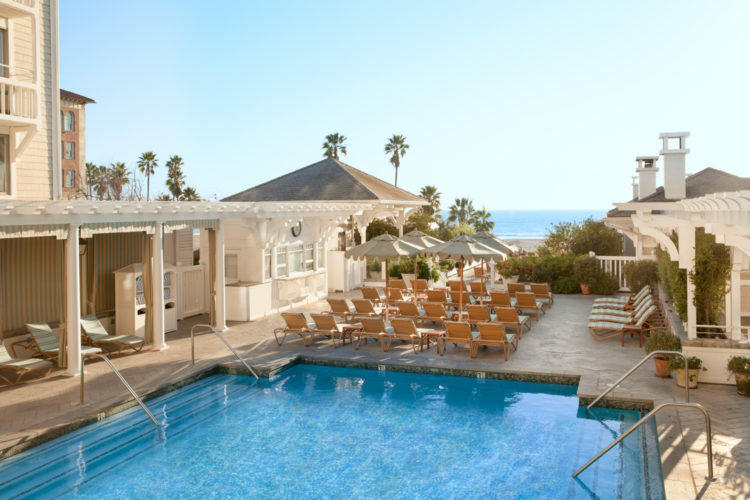 The casually elegant Shutters on the Beach serves as Santa Monica’s iconic luxury retreat for Hollywood’s finest, such as Gwyneth Paltrow and Jennifer Aniston, and welcomes guests looking to enjoy the relaxed new Hollywood glamour that is a thoughtful blend of indulgence and serenity. Positioned just steps from the sand, the resort features interiors by Michael S. Smith – the man behind the White House interiors since 2008 – with inimitable views of the Pacific Ocean, along with the luxurious ONE Spa and two signature restaurants 1 Pico and Coast Beach Café and Bar. A Tesla house car offers guests on demand rides in eco-minded style. For those looking for an old Hollywood glam appeal, sister property Hotel Casa del Mar, located a stone’s throw from Shutters the coastal escape offers a storied history and an incredible lively lobby that brings its visitors to a place of stylish wonder and grandeur with floor to ceiling windows, cozy nooks and indoor cabanas.